They were taken from their families in the wild and sold online for $200. The rescue team found the baby orangutans just in time. 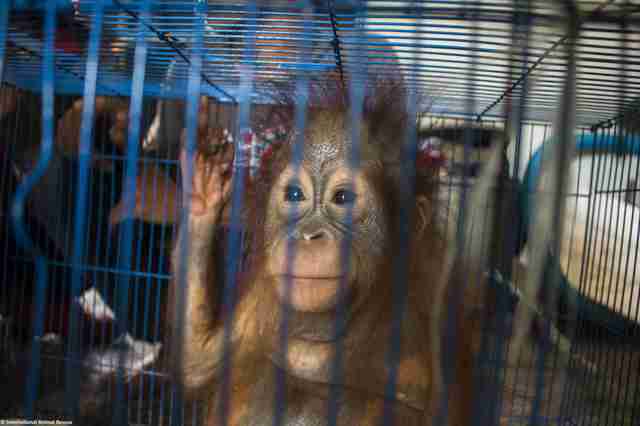 Yesterday, police stormed into a house in Pontianak, Indonesia in West Borneo, and found two baby orangutans — a 1-year-old male and an 8-month-old female — locked up in tiny cages that had been packed into shipping crates. The man who put them in there had sold the babies on a social media site for 3 million Indonesian rupiahs (about $224 USD). While the police aren’t sure where they were going to be sent, the seller was definitely getting ready to transport them somewhere. The baby orangutans were absolutely terrified — besides being locked up in cages without food, water or comfort, they’d probably had to watch people kill their moms right in front of them. One of the baby orangutans was rocking back and forth, which was a sign of extreme stress, Key explained. Thankfully, the IAR team knew exactly how to help the babies. 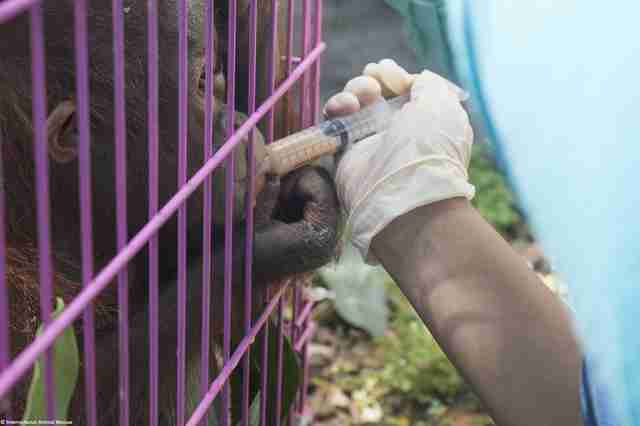 Back at IAR’s rescue and rehabilitation center in Ketapang, West Kalimantan, the medical staff gave them rehydration fluids and put them in quarantine, where they’re still being monitored to make sure they’re not sick. 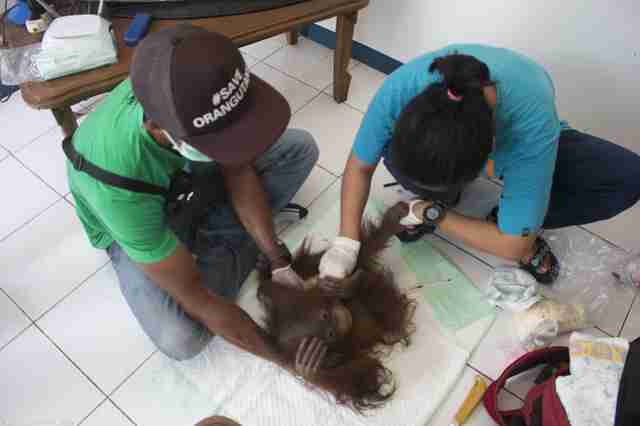 But it’s not just their physical health that needs looking after — the baby orangutans also have to deal with the trauma they’ve undoubtedly gone through. To help the babies cope, the IAR staff will make sure they’re never alone. Unfortunately, these two baby orangutans aren’t the only ones who have been through this kind of ordeal. 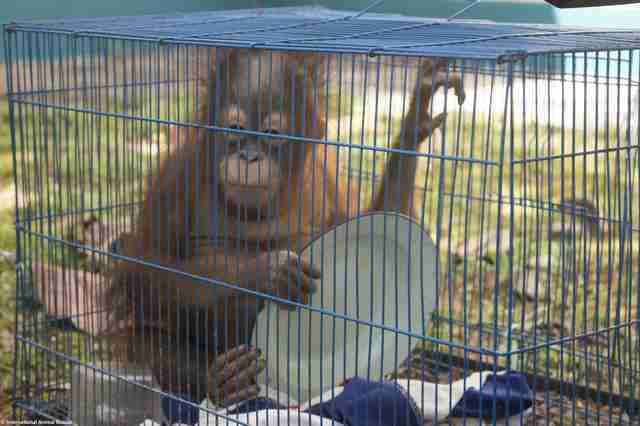 The IAR team has rescued countless orangutans who were illegally sold or kept as pets. 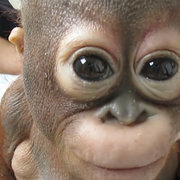 In fact, IAR is currently caring for 111 orangutans at its rehabilitation center. 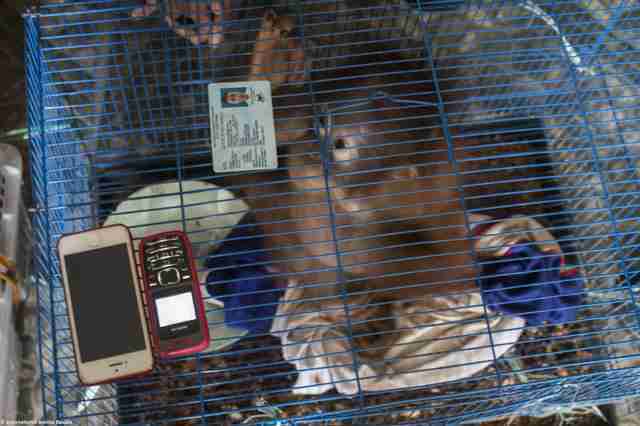 Fortunately, IAR has the help and support of the local police and officials from the Ministry of Environment and Forestry, and by working together, they hope to put a stop to the illegal trade of orangutans. 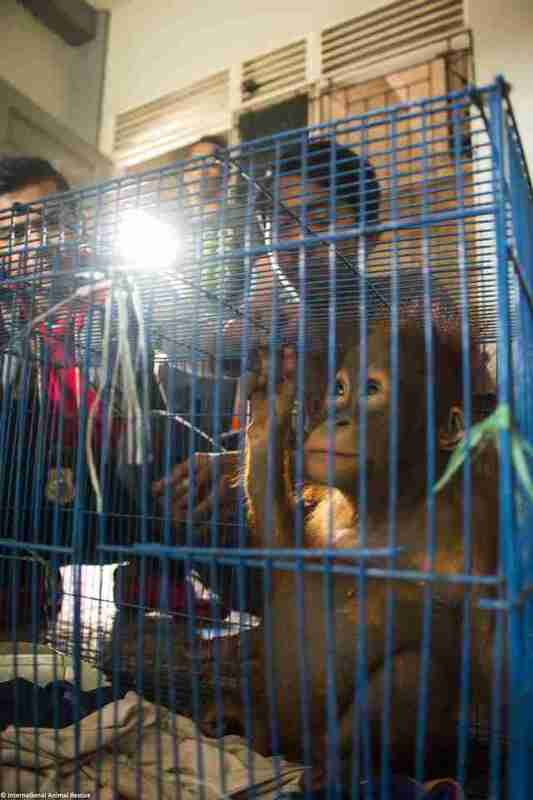 Not only did the police arrest the man responsible for capturing and selling the two baby orangutans, but they are also currently investigating a larger wildlife trafficking syndicate. The two babies will need to go through several years of rehabilitation before they’re eligible to be released back into the wild — they’ll need to learn to forage, climb, build nests and socialize with others. But the IAR team will do everything it can to help them get there. 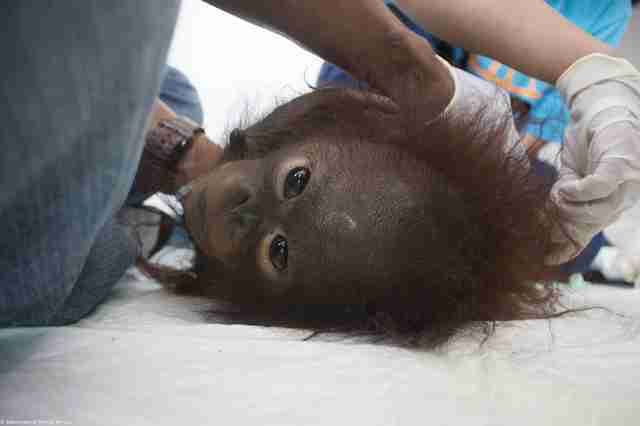 To help these baby orangutans make a full recovery and get back to the forest, you can make a donation.